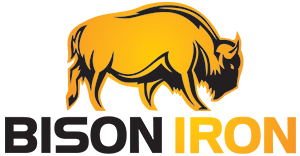 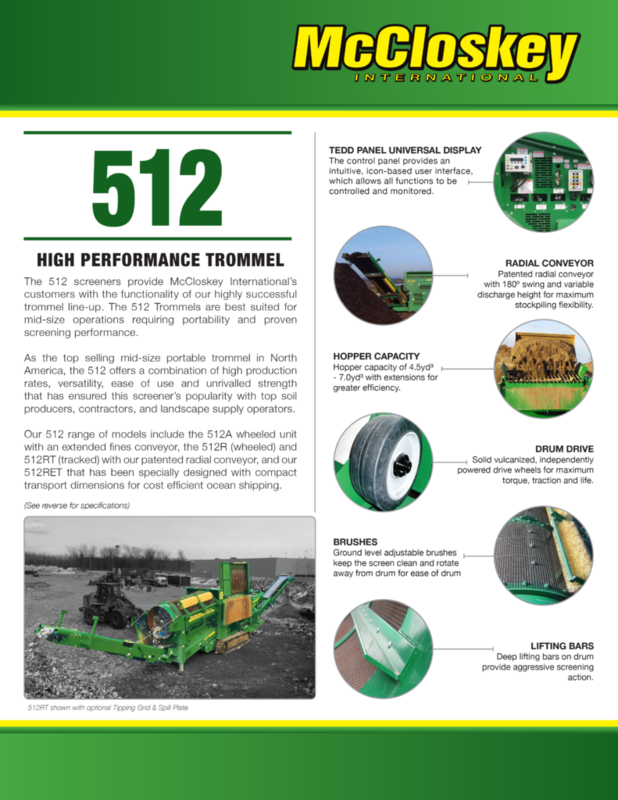 512 Trommel – Bison Iron Corp. 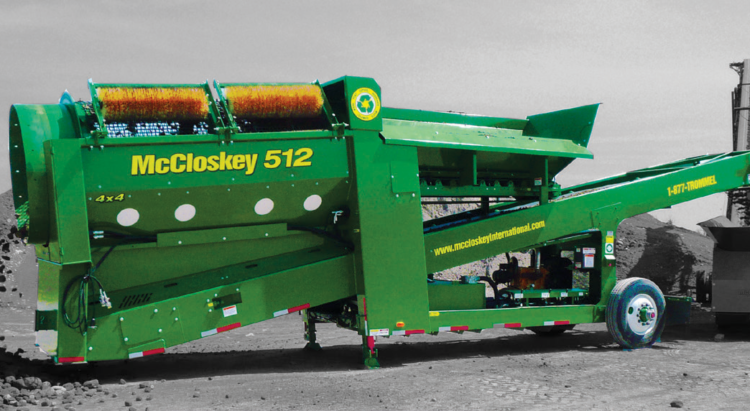 The McCloskey™ 512 trommel provides customers with the functionality of our highly successful trommel line-up and is best suited for mid-size operations requiring portability and proven screening performance. 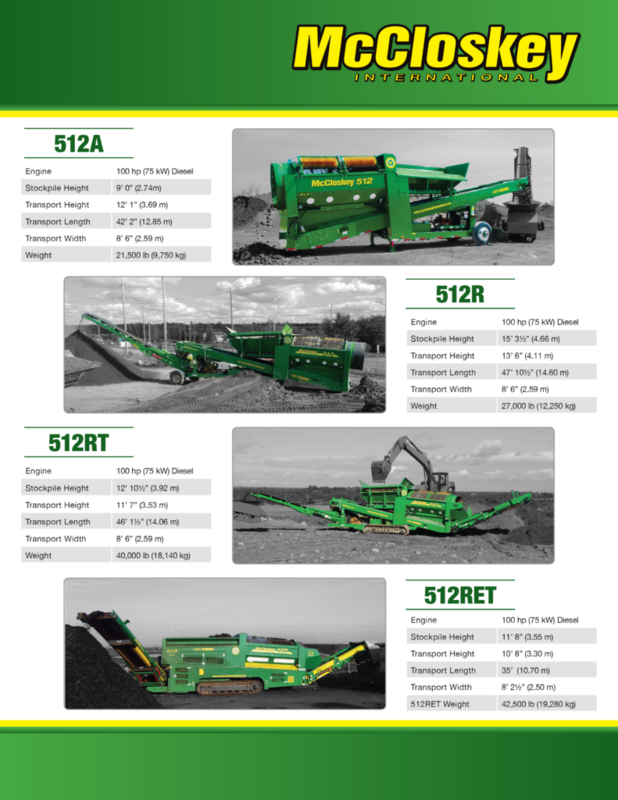 As the top selling mid-size portable trommel in North America, the 512 offers a combination of high production rates, versatility, ease of use and unrivalled strength that has ensured this screener’s popularity with top soil producers, contractors, and landscape supply operators. 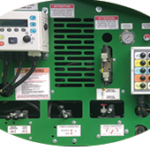 512RET that has been specially designed with compact transport dimensions for cost efficient shipping. 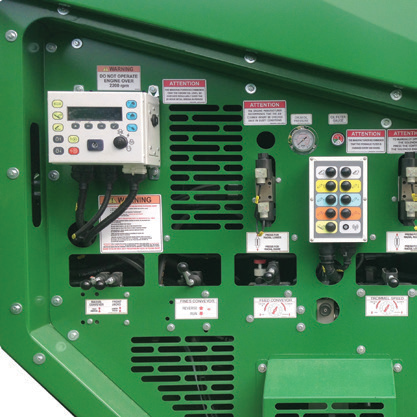 The control panel provides an intuitive, icon-based user interface, which allows all functions to be controlled and monitored. 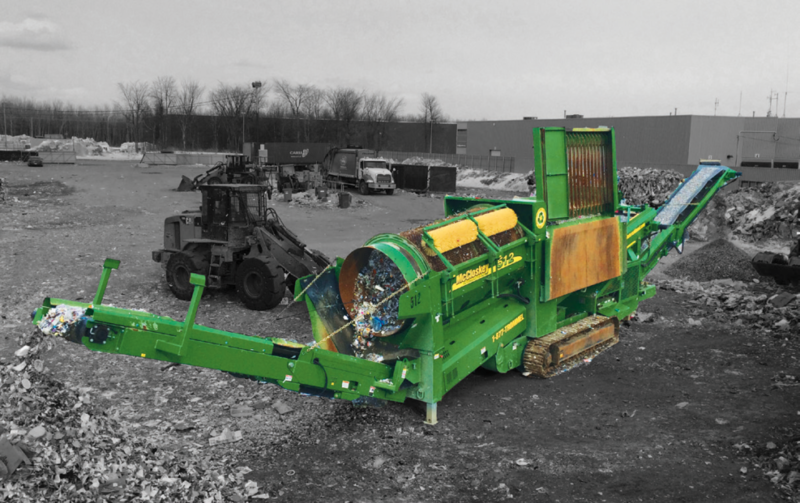 Patented radial conveyor with 180º swing and variable discharge height for maximum stockpiling flexibility. 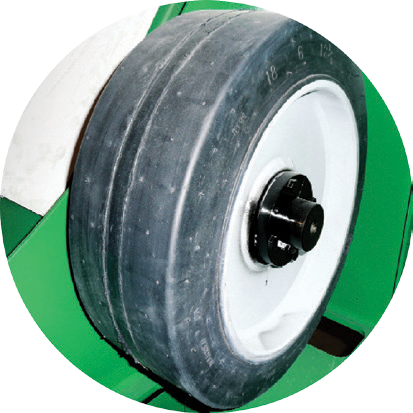 Solid vulcanized, independently powered drive wheels for maximum torque, traction and life. 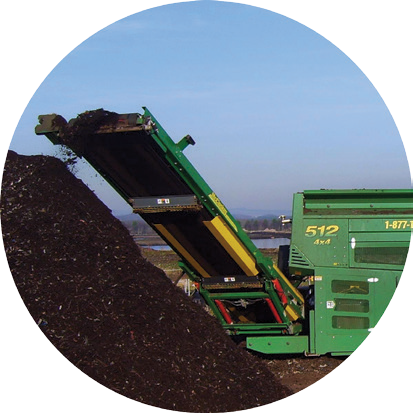 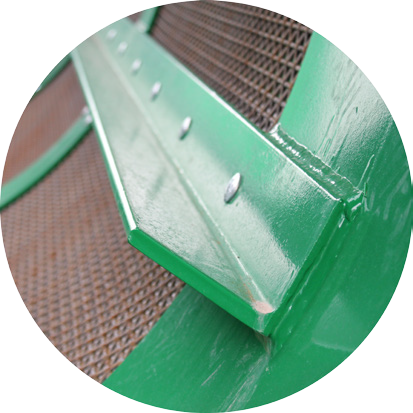 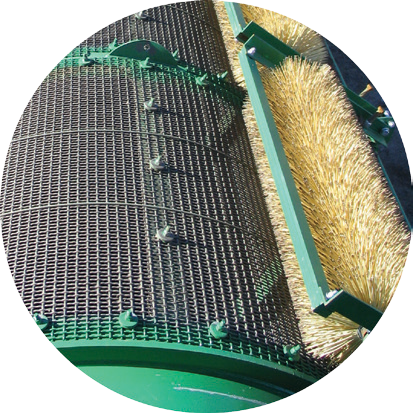 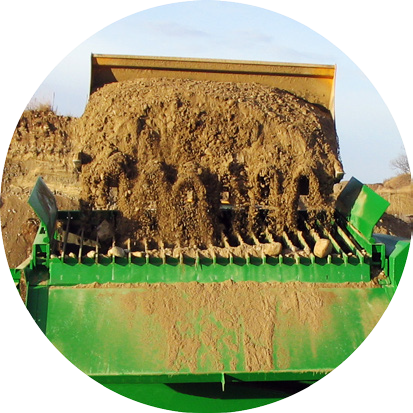 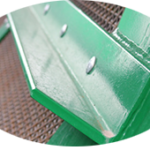 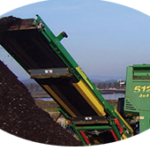 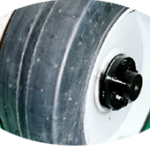 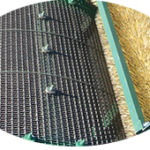 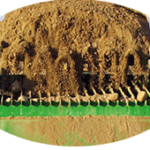 Deep lifting bars on drum provide aggressive screening action.